In 2001 he joined the Charanga Habanera. During the eight years in which he was part of it he performed duets and projects with important figures of Cuban music. He achieved great success with hits like “Tiene de Cuba, tiene mela’o” and “Gozando y a lo cubano”. He toured the world with David Calzado’s charangueros and recorded several albums. After some years, Leoni decided to give way to a project of his own…which he did. The outstanding Cuban composer and performer is currently focused on completing his next album that will be composed mainly of duos with prominent figures such as Pablo Milanés, Descemer Bueno and Kelvis Ochoa, Gilberto Santa Rosa, among others. In the midst of it, he promotes his most recent work entitled “Toda una vida”. After selling out 3 consecutive years at Miami’s James L. Knight. 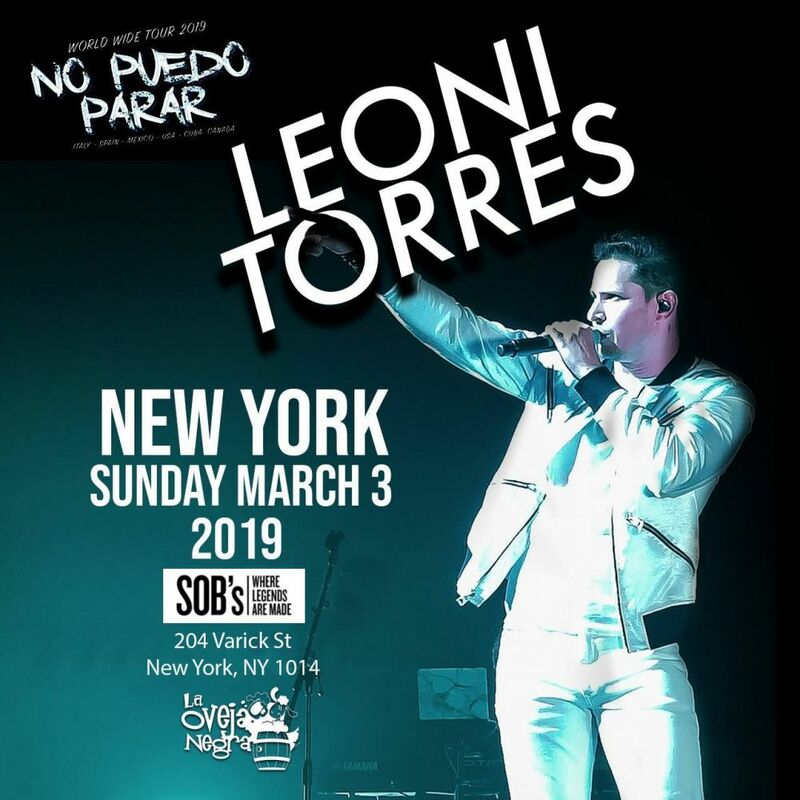 Do Not miss his first performance in New York at SOBS!